That shiny new computer buried in the box can be quite intimidating when you turn it on for the first time. Let us help you start off on the right track. With our new computer set up service, we'll get your new desktop or laptop up and running, configured to your preferences, and set with recommended security settings to ensure a safe computing experience. We'll also show you around, pointing you to key features, such as the Start menu (Windows) and Launchpad (Mac), Control Panel/System Preferences, and the internet. This in-home appointment includes the setup of a new Windows or Mac desktop or laptop system, which takes approximately 30-45 minutes. In addition to configuring your computer for your personal needs, we'll ensure your computer has the latest available updates, show you the key features of your computer, and answer any surface-level questions you may have. If you also used our Get a New Computer service, we'll transfer data from your old computer to your new computer for free! Keep in mind that data transfers can take several hours, and once the process has started, your iTech representative won't have to stay. Can you transfer my files from my old computer? We sure can! If you also ordered our Get a New Computer service, we'll transfer your data for free! If not, you might have to pay extra for our Transfer Data service, depending on how many files you want to copy over. You'll need a storage drive, such as a flash key or external hard drive, for us to copy your data from your old computer to the new one. If you don't own one, contact us prior to your appointment, and we can provide one for a small fee. Can you set up my email? How about iTunes, or my printer? 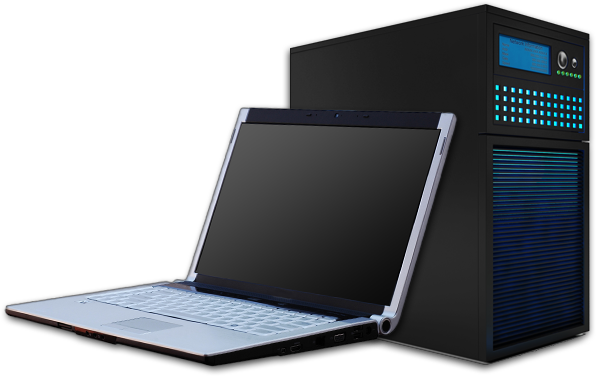 The cost of this service does not include additional configurations or software installations. Setup times for these items can vary greatly, which is why they cost extra. Ask your iTech representative at appointment time if you have software or hardware you'd like us to setup as well! Can you still transfer my data if my old computer stopped working? I really need it. This is a more labor-intensive process that may involve data recovery. Due to the complex nature of such a service, you'll need to order our Transfer Data service for an additional fee. In most cases, your iTech representative will stay for the duration of the data transfer to ensure a smooth transition. Based on previous appointments, the average price for this service is $25.00.